When you read the paragraph above, there is no way for you to know what it was like to live though the years and years of praying and interceding for each of our children as they struggled through the pain of hope deferred and the grief of loss. There were many times when we wondered if we would ever see the answer to our and their heart cries. There were many times when we asked God why He would allow our daughter to have the hope of a pregnancy only to suffer the horrible loss of miscarriage time and again. We also couldn't understand God's ways when our youngest daughter would have her heart broken and her hopes deferred. 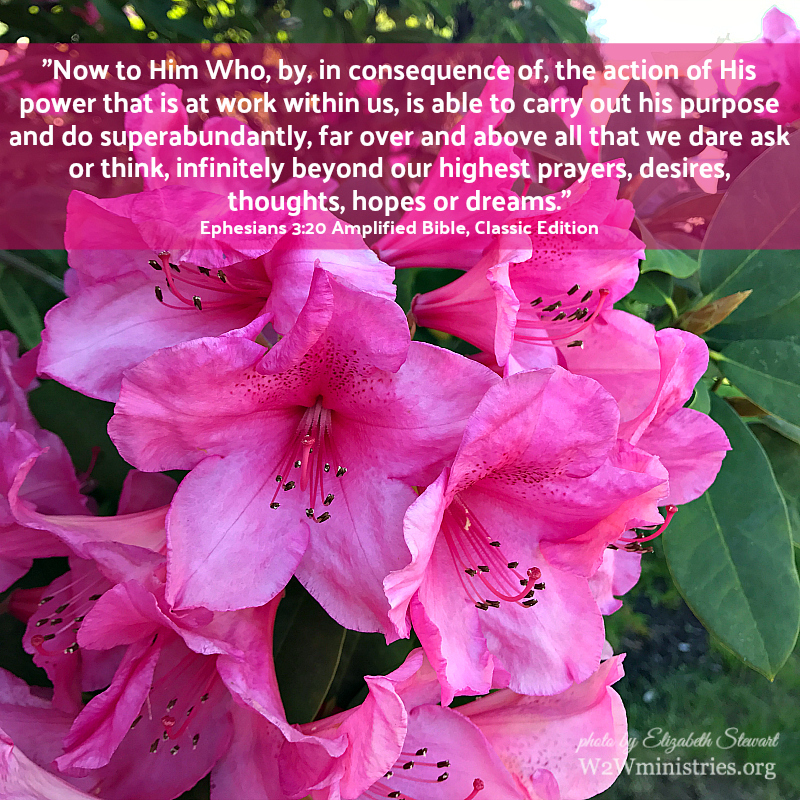 For years we couldn't glimpse or grasp the way God would answer our/their prayers, hopes and dreams. And then, He did. Superabundantly. Far over and above. Don't give up. Don't quit. Keep praying. Keep asking. You just never know how or when God will answer. Superabundantly. Far over and above. The wait was worth it for us, and I believe it will be for you, too. Congratulations on your newest addition! It is wonderful to review all that God has done in our families as it keep our eyes on the One who is able to do all things! Joanne, thank you! We are so blessed and all of this was worth the wait! It is so true, his time...not ours. As parents, I sometimes feel that I suffer as much as my children in their grief and I am thrilled for their happy times, but the feelings of joy dim more quickly than the sadness for them. As you say, reading the words in your post doesn't reflect all the emotion that each had to go through. Would be so nice to handle grief in that way, just write the words and then toss aside and back to happy times. In some ways, with God that is possible, but he still has to bring us through it, and as you say, he goes far and above. Thank you so much. God truly has done far and above what I could have ever imagined. Congratulations on your new grandchild! It's great that you can see God working and know that He will answer! Thank you so much, Brenda! I am so grateful to God for HIs blessings!